China's exports contracted sharply last month, deepening worries over slowing growth in the world's second-largest economy. February exports shrank 20.6% from a year earlier to 821.8 billion yuan ($126 billion), according to data from China's General Administration of Customs. That's a steeper drop than the 6.6% contraction the previous month. China's economy is now registering its slowest pace of growth in 25 years after decades of breakneck expansion. Investors are worried about the scale of the slowdown, which has set off waves of volatile trading in stocks, commodities and currencies in recent months. Disappointing economic data so far this year haven't done much to shore up confidence in Beijing's ability to engineer a smooth transition to an era of slower growth. Chinese imports fell 8% to 612.3 billion yuan ($94 billion) in February after a 14.4% plunge in January. Tuesday's weak trade numbers underscore the challenges facing Beijing as it tries to guide the economy away from its old growth model of infrastructure investment and cheap exports toward one powered by Chinese consumers and a stronger services sector. China's problems are compounded by weakness elsewhere in the world economy. "Sluggish global demand is the main reason for China's disappointing exports rather than a general loss of export competitiveness," said HSBC China economists Jing Li and John Zhu. But some experts say it's too soon to sound the alarm about the February numbers. "We suspect that the drop in export growth largely reflects seasonal distortions due to annual shifts in the timing of Chinese New Year," said Julian Evans-Pritchard of Capital Economics. 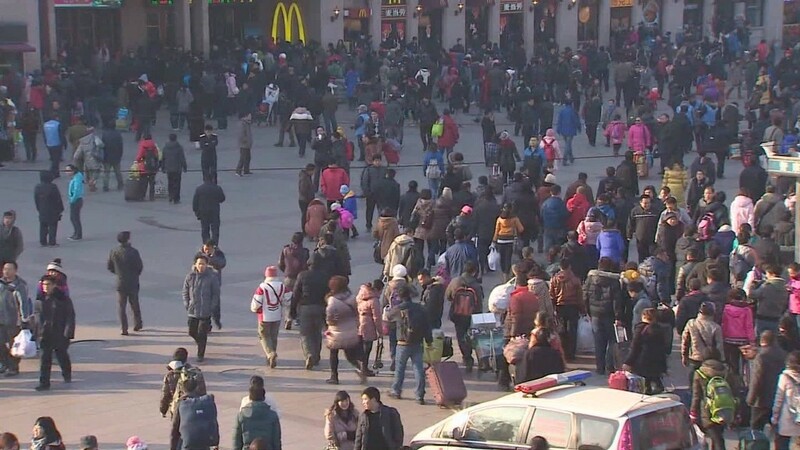 The Lunar New Year is China's biggest annual holiday, a time when businesses shut down as workers return home to celebrate with family and friends. Last year, it fell unusually late in February, which meant that the majority of the pre-holiday rush to finish orders occurred that month, pushing export figures up. That makes it a tough comparison for this February, when the holiday was much earlier in the month, and trade and business activity slowed. Evans-Pritchard says he expects the trade flow to rebound next month, but other analysts are less optimistic and warn of slowing momentum. The HSBC economists called for more stimulus measures from Chinese policymakers, who last week cut the amount of cash banks have to keep in reserve.